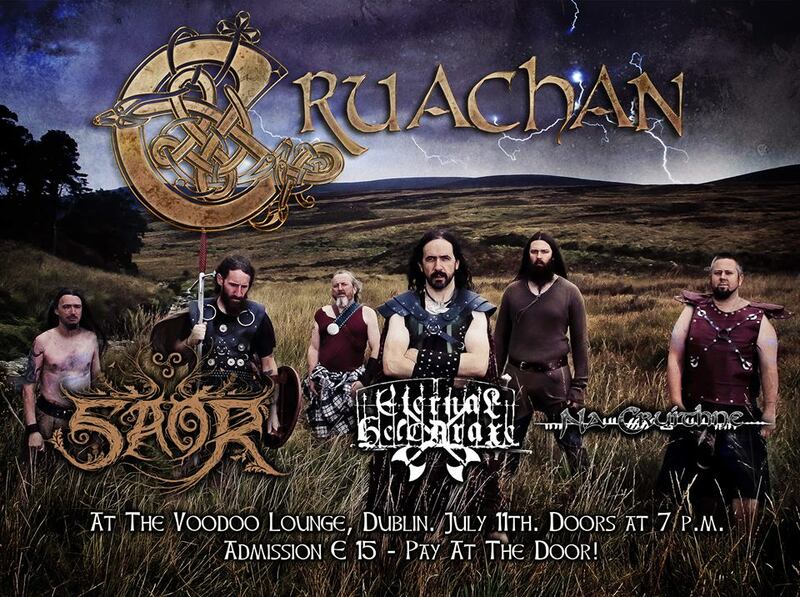 CRUACHAN return home for a one off live headline show in the Voodoo Lounge, Dublin this Summer on the 11th July 2015. Fresh from appearances all over the world including a recent tour of Russia and joint headline slot at Cernunnos Fest, they will be presenting songs from the new album “Blood for the Blood God” as well as some classics. Joining them will be special guests from Scotland – SAOR! Who have been making quite a stir in the Folk/Pagan Metal world of late. Completing the line-up will be epic Black Metallers ETERNAL HELCARAXE from Cavan and Folk Metallers NA CRUITHNE from Galway!! !